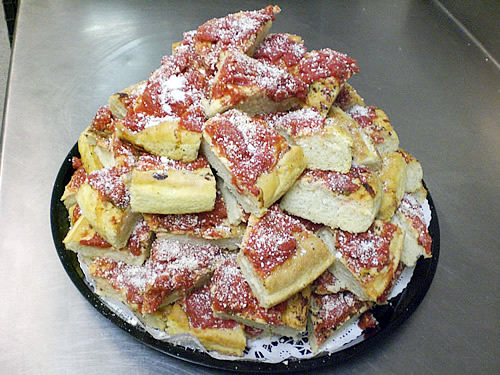 The Downtown Deli was established in 1994, is locally owned and operated by Ann and Pat Sandroni and has been serving giant New York style deli sandwiches, subs, bagels, soups and salads to over 100,000 happy people in the beautiful New York Finger Lakes region. 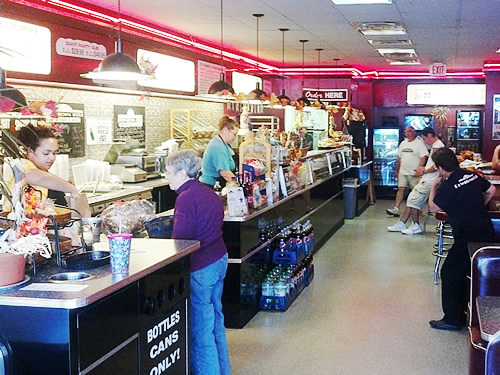 An original New York Deli Sandwich Shop, Downtown Deli prides itself on offering authentic New York Style, overstuffed sandwiches fast and affordable! Our store makes you feel like you're sitting in Time Square. 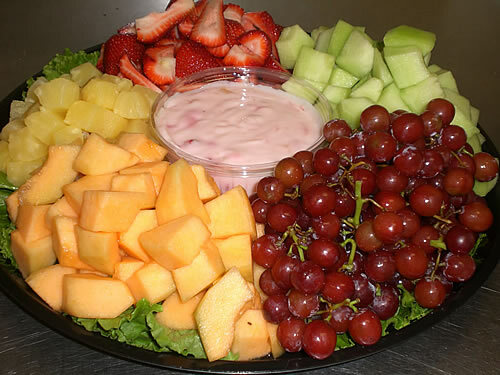 Downtown Deli has a steady stream of loyal customers that love the fast, friendly service and the New York City flavor. Beer and Wine are available as well. You can also enjoy Canal Side Deck Seating during the spring and summer months. 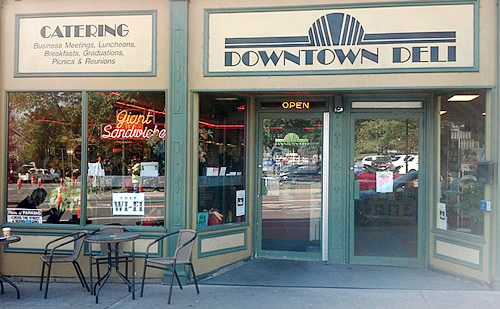 Downtown Deli, "Where A Half Is Like A Whole"™ is a registered tradmark.